I love Autumn! It's definitely my favourite season as I just love the beautiful colours of the trees and of course the mountains of conkers to find. We regularly go on Autumn hunts to see what we can find and bring back lots of natures goodies. Most years we do an Autumn sensory box which is fine for the older two but now I have a one year old, who insists on putting everything in her mouth so we need a safer way to explore Autumn for her. 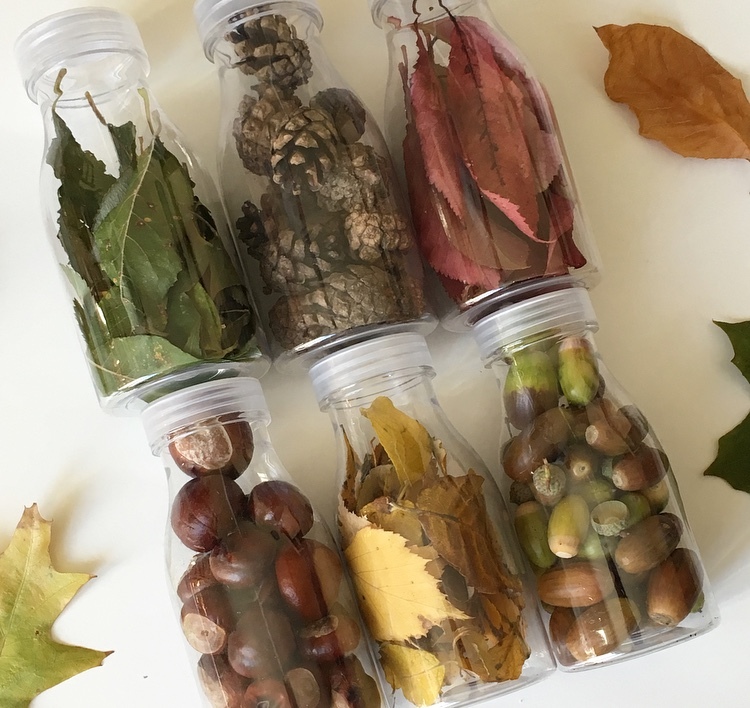 So I gathered up our autumn finds and decided to put them into these lovely bottles I recently bought from Home Bargains. 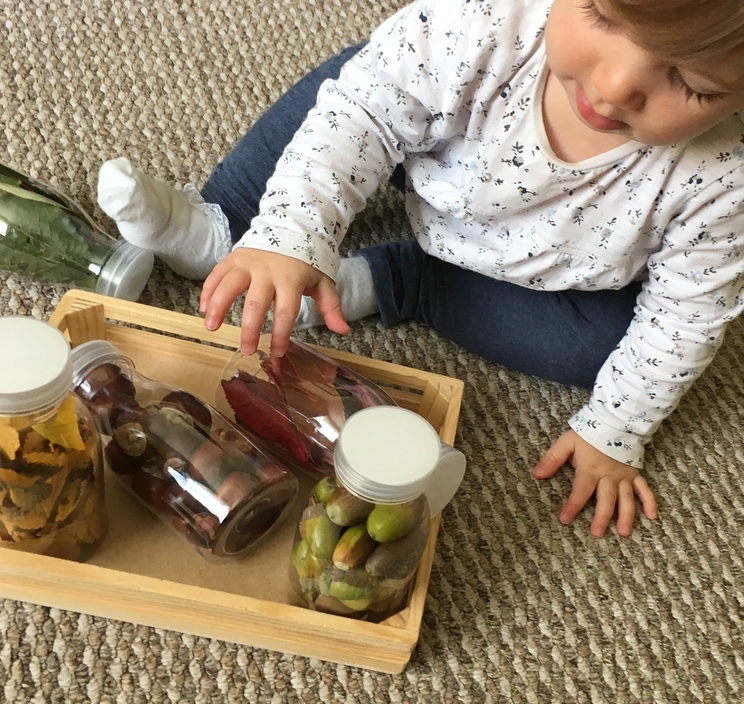 They are the perfect size for little hands to explore with but they can not undo the screw lid ensuring the contents do not escape. You could use water bottles or any old drinks bottles that have a screw lid on them. I wanted to stick with natural objects but you could place anything inside the bottles, you could just fill them with objects that have autumnal colours such as red, orange and yellow pom poms, tricolour pasta or even water with a touch of food colouring. I then let her explore all the different bottles. She was mostly interested in shaking them but it's a good reference to have alongside autumn books. 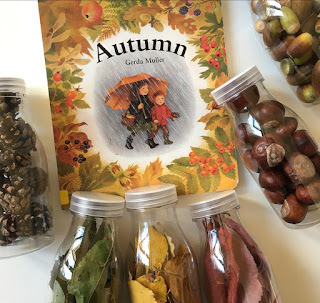 It's a really nice way of talking about Autumn in a safe way for little ones and something I think we will keep coming back to as the season progresses.